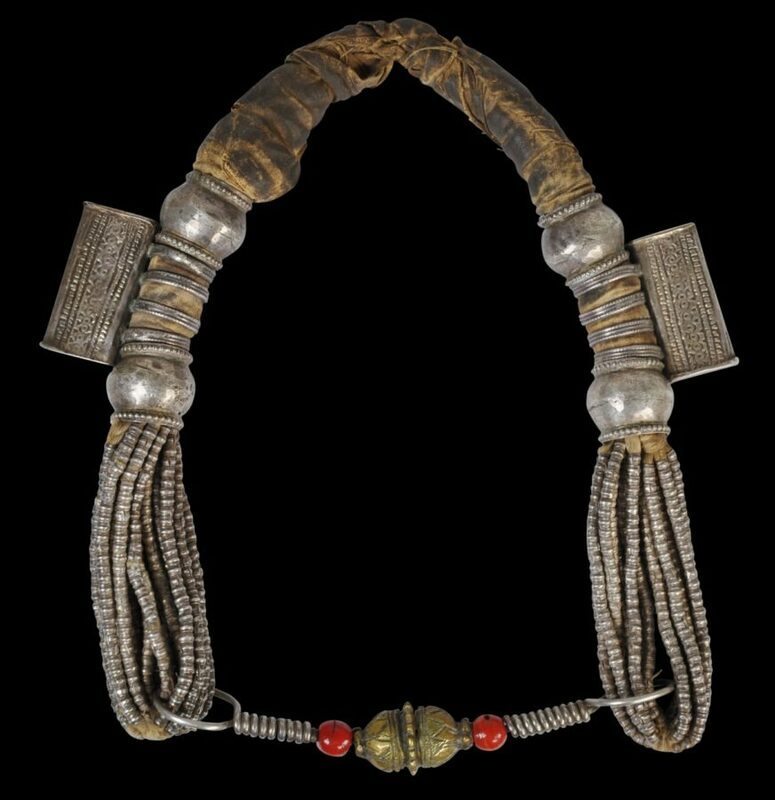 This fine example of a type of necklace known as a hunkun is probably from Nizwa, but related examples were also worn by the Bedu women of the Wahiba Sands, as well as other tribes (Rajab, 1998, p. 43). 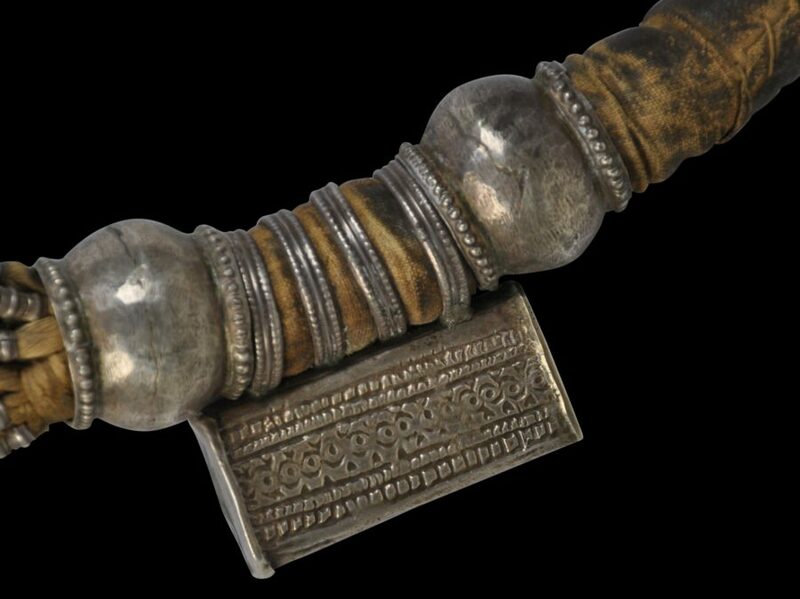 It comprises a stiff, cotton-bound substrate, two silver amulet boxes (hirz); large silver beads; multiple strands of tiny silver beads; and a fine cross-bar section which comprises red coral beads, a a large central bead that is incised and gilded, and thick coiled silver wire. 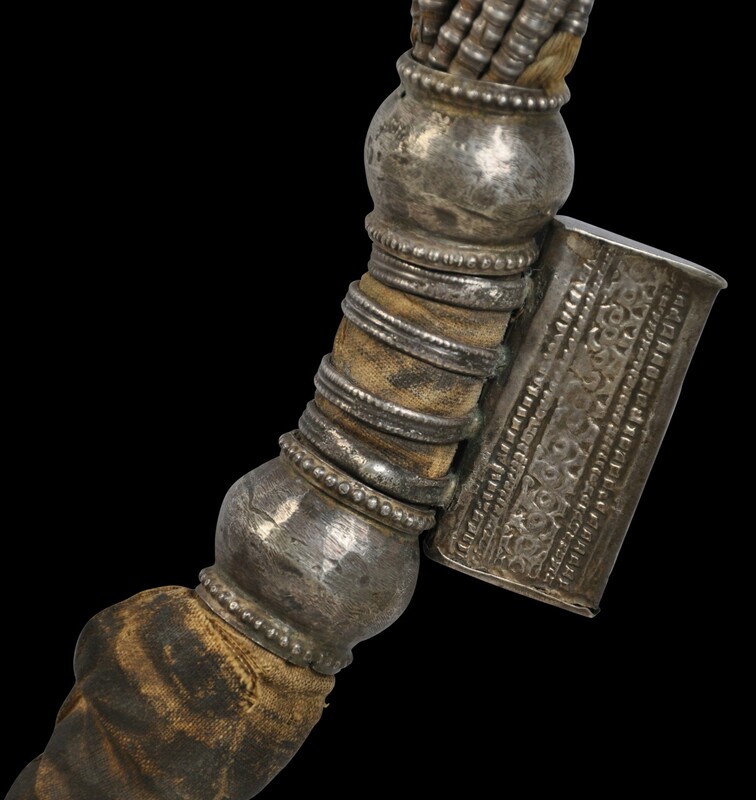 It is likely that such a necklace would have been typically worn in connection to weddings and other important celebrations. The necklace is in fine condition. Each element has fine patina, consistent with significant age and the item having been worn. Stehlin-Alzadjali, J.M., The Traditional Women’s Dress of Oman, Muscat Press & Publishing House, 2010.